Pets play an important role in our lives. They are our valued companion who fills our life with added joy. Pets help children develop greater empathy, higher self-esteem, and increased participation in social and physical activities. Feeding and caring for a pet encourages children to be responsible. Children with pets display improved impulse control, social skills and self-esteem. Sharing and caring for pets, also teaches them to create better bonding with their siblings. Students of Play Group were introduced to pet animals through soft toys and flash cards. 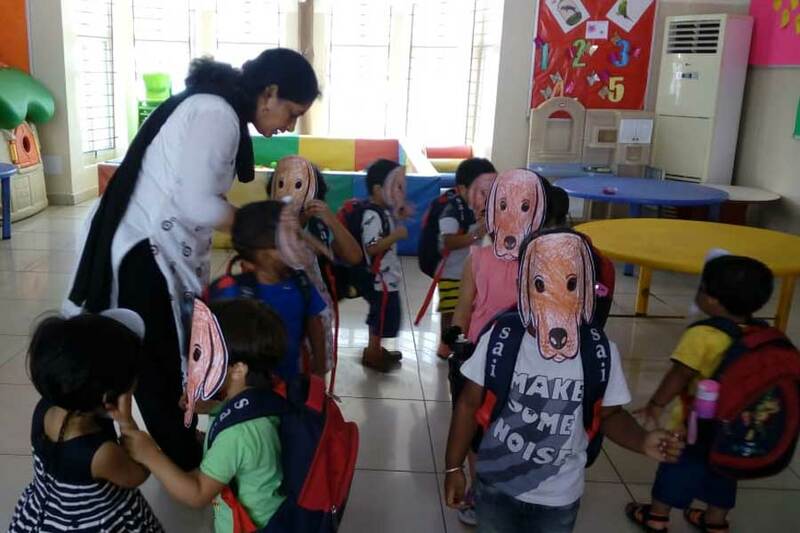 They were asked to make a dog mask with the help of their teacher. Mask cut-outs were provided to them and students were asked to colour those with brown and black crayons. 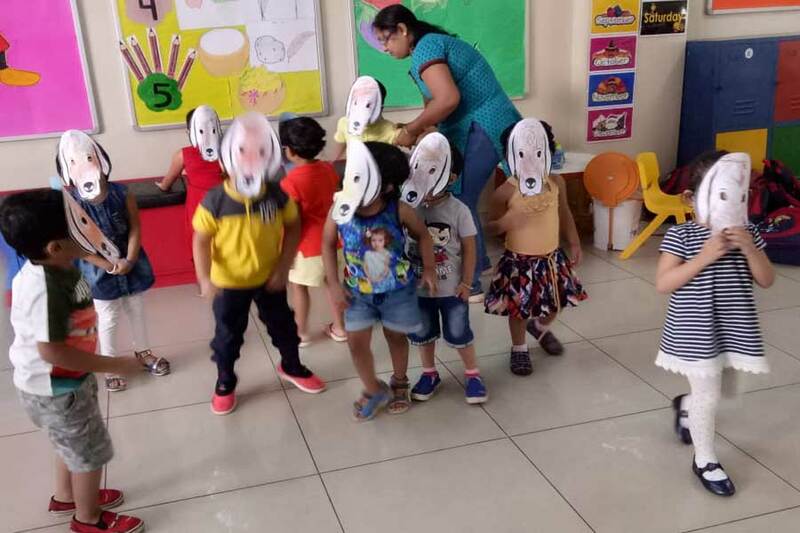 After the activity they were asked to wear the mask and act like a pet dog. 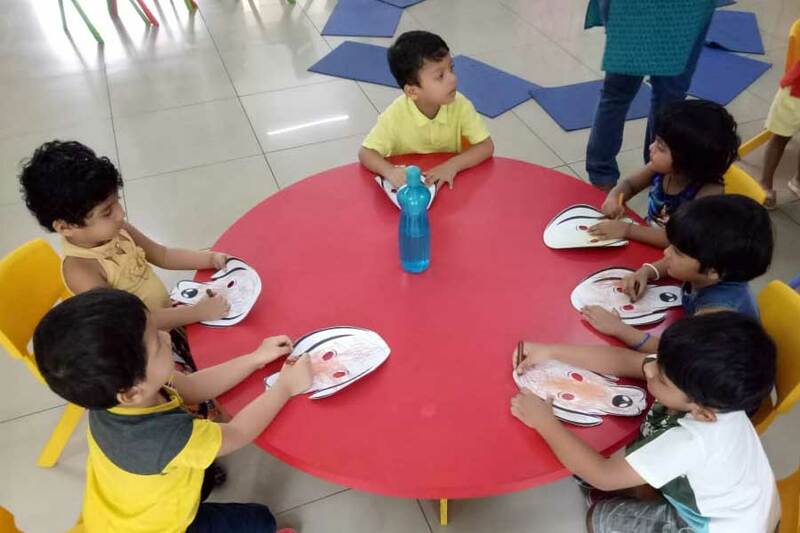 This activity enhanced their naturalistic, interpersonal, fine motor and gross motor skills.